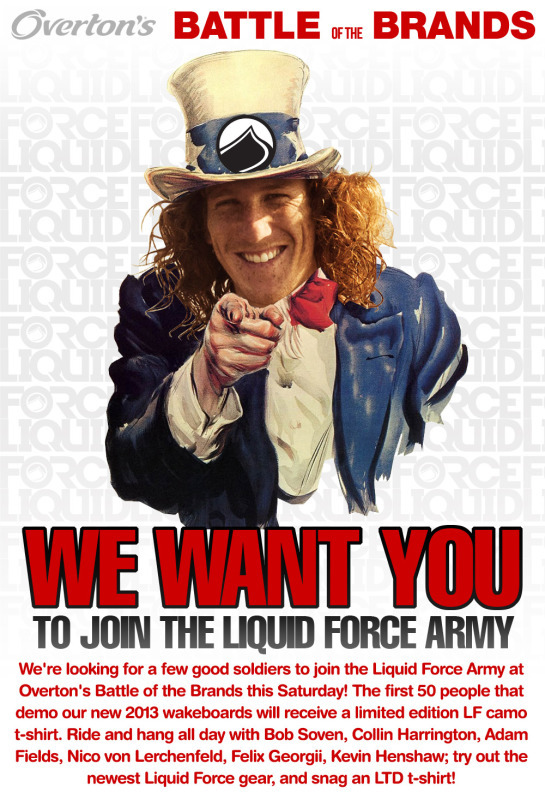 We’re looking for a few good soldiers to join the Liquid Force Army at Overton’s Battle of the Brands this Saturday! The first 50 people that demo our new 2013 wakeboards will receive a limited edition LF camo t-shirt. Ride and hang with Bob Soven, Collin Harrington, Adam Fields, Nico von Lerchenfeld, Felix Georgii, and Kevin Henshaw at Rollingview Marina from 10-7pm!